My hives are about 6-7 weeks old, and I’ve been inspecting them approximately once a week. Some beekeepers go frame by frame through the whole hive, but so far I have only done that once. I just check the top medium to make sure the queen is still alive and laying eggs by looking for tiny new eggs, larvae, and capped brood. My mom says I should do the longer frame-by-inspection less often, once a month or so, to check for diseases. Other people have different opinions and say I should check frame-by-frame once a week. I often run out of smoke in my smoker and then try to wrap things up quickly! Right now, since the bee population is bursting in conjunction with the nectar flow, I am also inspecting to see if it is time to add another medium. When you see a hive, it looks like a stack of boxes. Each box (mine are called mediums because of their size) has ten frames. 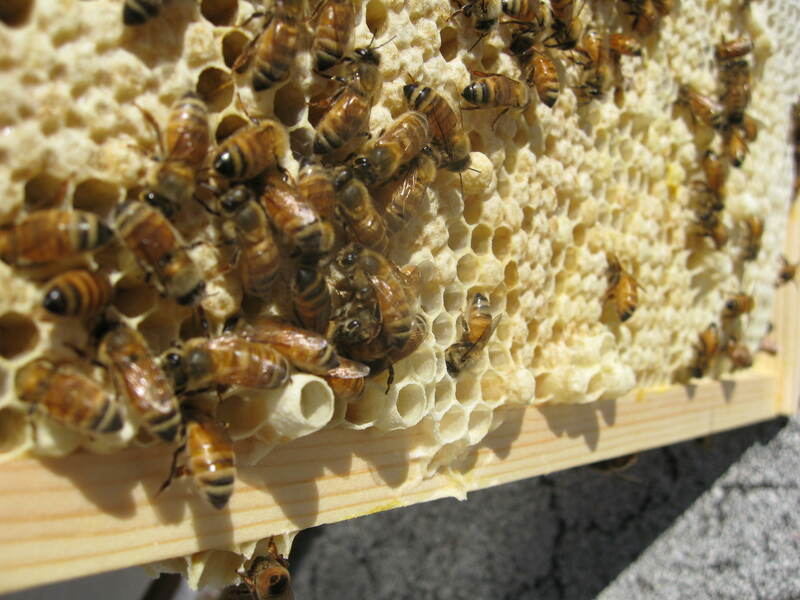 In my hives, the three bottom mediums make up the ‘hive body,’ where the queen lays and where the workers store the pollen, nectar, and honey that they need for survival. 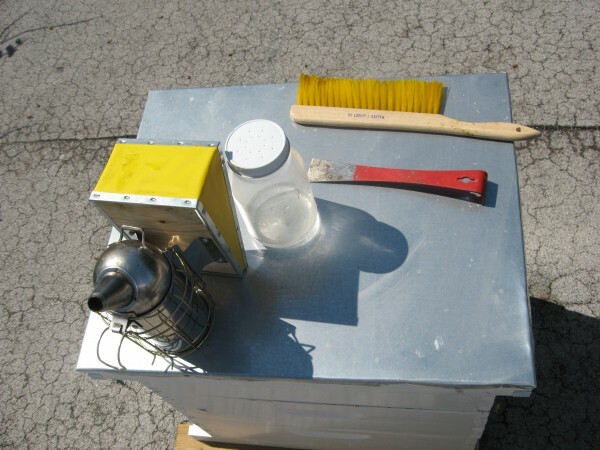 The beekeeper puts a grill over the hive body that the queen can’t fit through, called a queen excluder. 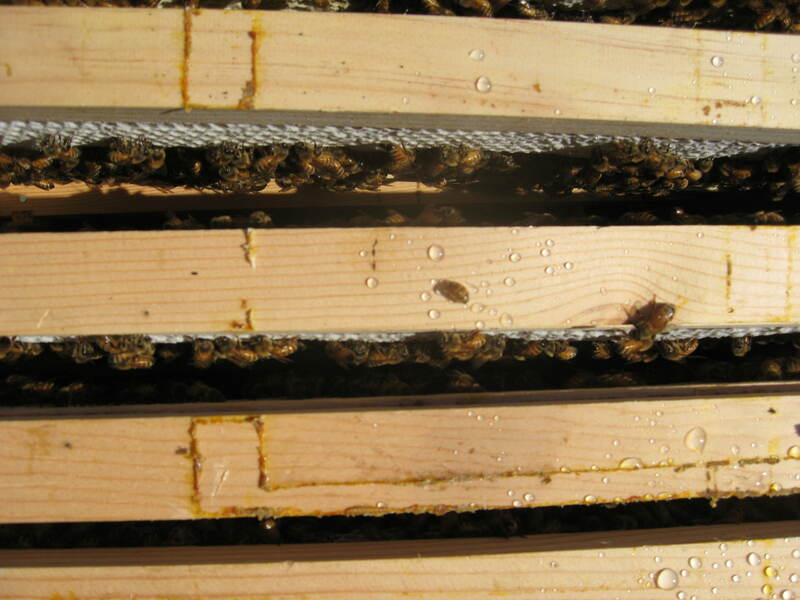 Thus the boxes that go over the queen excluder are free from the queen’s eggs but full of the workers’ honey — these are called the honey supers. The beekeeper robs this brood-free honey only; the rest of the honey is left for the bees to eat over the winter. I look to see if I should add another medium by judging how close the bees are to filling up the mediums they already inhabit. The workers draw out cells on each frame with their own wax, prepare the cells for the queen to lay eggs in, and use cells for food storage. If I don’t expand their hive size in time, the bees will outgrow the space and swarm. Remember that the queen can lay up to 1900 eggs a day. 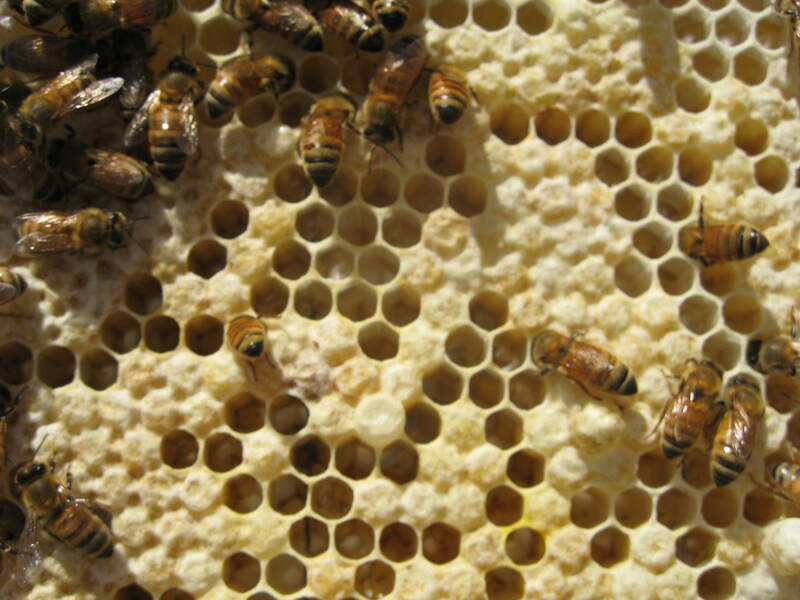 One sign of bees planning a swarm are supercedure cells, or cells built to hold eggs destined to be new queens. I had a little scare this week when I saw these large cells near the bottom of the frame — I thought they might be supercedure cells so I scraped them off and big larvae slumped out. I’m not sure if they were supercedure cells, or drone cells, or what. Mom? Mom, are these supecedure cells or what? ANSWER FROM MOM and MEGAN PASKA: Those are drone cells not swarm or supercedure cells. Good news. More on that later. In a few more weeks, when my bees have filled out their hive bodies (3 mediums in each hive), I will put the queen excluder on and then my HiHat Honey will start to flow into the honey supers I place above it. 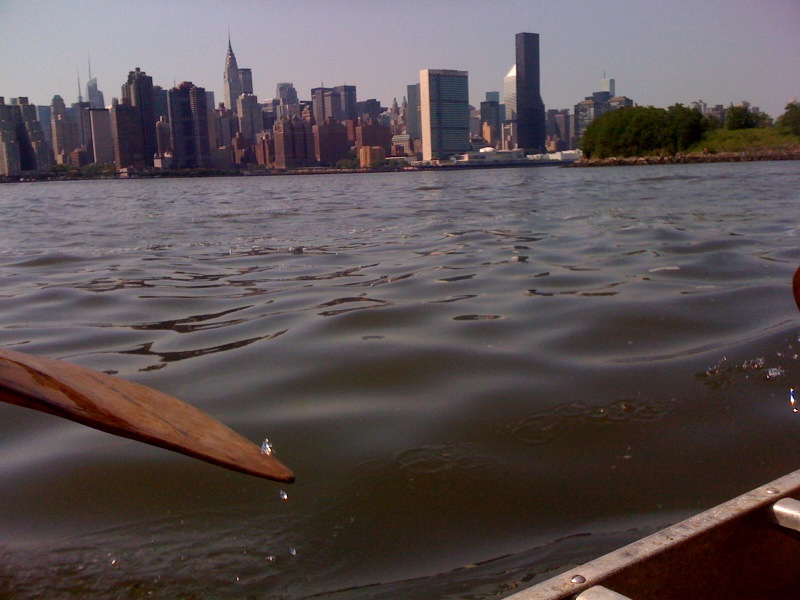 It will taste like whatever is blooming at the time, which in New York in midsummer will most likely be a variety of trees. But you never know what is blooming just across Newton Creek, in Queens. Those cells below are for drones!